I’m a software developer who runs Scribophile, an online writing group for serious writers, Writerfolio, an online writing portfolio service for freelancers, and Standard Ebooks, an open source project that produces liberated ebooks for the true book lover. Recently I read a really interesting article by the author of Zen Habits, Leo Babauta, about something he calls Uncopyright. It’s his term for releasing something into the public domain. Leo’s rationale for releasing his work into the public domain really resonated with me. It resonated with me so much that I’m releasing my own writing in this blog, along with the content of a few other projects of mine, into the public domain as well. For those of you who’re interested, I’m going to lay out my reasoning for this decision. But Leo’s article, I think, does a much better job of explaining things than I can. You should read his take on it first. 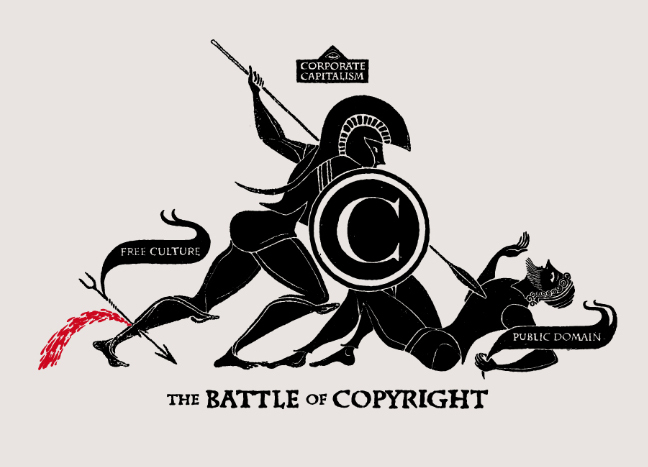 When copyright was first conceived, the idea was to grant the creator a monopoly on their creation for a limited amount of time, so that they could profit from it without fear of someone else co-opting it. Originally, copyright in the US was granted for fourteen years, and you had to apply for it. After that time the work would enter the public domain, which meant that anybody could now use or build upon the work. In other words, the creator had some time to profit from their work, and after a while the work was freed to the public for the development of art, culture, and science. That system worked fine for a while. Then big companies started appearing in the US legal landscape. These big companies lived longer than humans, and sometimes their entire source of profit was from an intangible they protected with copyright. Disney, for example, has been around for much longer than Walt Disney the man, and it wants to exclusively profit from the Mickey Mouse character Walt created. (And other things, too.) How can Disney continue profiting from Mickey Mouse indefinitely if copyright expires after a certain time? The same question was raised by other large companies, like ones in the recording and film industries. Their answer was to talk to politicians (notably Sonny Bono, who at one point was a congressman) to get them to extend copyright nearly indefinitely. The Sonny Bono Copyright Term Extension Act (also known as—no joke—the Mickey Mouse Protection Act) extended copyright for work produced by companies to 120 years after they were created, and for individual creators to their lifetimes plus 70 years. Today, a company gets to hold a monopoly on their creation for generations. Art, culture, and science, all of which develop through building on and transforming previous work, are chilled outside of large companies with large legal teams. Creations like Mickey Mouse, who was created almost a century ago, or The Lord of the Rings, which was written half a century ago, are used to extract rent that goes into the pockets of people who didn’t even create those things. Does Walt Disney the man profit from Mickey Mouse? No, because he’s long dead. Does J.R.R. Tolkien profit from The Lord of the Rings? No, he’s long dead too. Should Tolkien’s son have the right to profit indefinitely and exclusively from his father’s work? Should a corporation profit indefinitely and exclusively from an intangible character? Or should these creations, with their creators long dead, be freed to the public to become part of our shared cultural heritage? The irony of the situation is that Disney created a lot of its famous hits from public-domain work. Their film Alice in Wonderland is a retelling of Lewis Carroll’s public-domain work Alice’s Adventures in Wonderland; Snow White is a retelling of a public-domain Grimm fairy tale; so is Sleeping Beauty. Disney today wouldn’t exist without the public domain, and yet they’re one of the actors who campaigned so strenuously to prevent their own ideas from entering the public domain. We can see the chilling effects excessive copyright terms and their enforcement has today. In Germany, over 60% of YouTube videos are blocked because they contain music for which the German music industry hasn’t granted a license. Grandmothers and dead people are being sued for ruinous amounts of money. 9-year old girls are being subject to police raids on their homes. Scientific papers are being locked up by companies who want to profit from their distribution, retarding progress in important fields like medicine and engineering. You could even be sued for singing “Happy Birthday” to your child. All of this just to keep the entrenched corporate business model of a different time alive in a new age of information freedom and ease of communication. Letting a creator profit exclusively from their intangible creation for a limited time is a fine idea. But the laws today have perverted that into something that harms our culture for profits on the corporate level and short-sighted greed and jealousy on the small-fry (you and me) level. I’m not going to sacrifice our culture for the interests of a few large corporations. The internet has ushered in a new age of culture, science, and progress thanks to the instant worldwide communication and sharing of information it enables. I won’t be part of a process that actively tries to stop that. If we believe what these big companies tell us—that they deserve to own a character, or a series of musical notes, or a paragraph, until your grandchildren are long dead—then our culture and our society will suffer. We’ll never have modern-day equivalents of classics like Alice’s Adventures in Wonderland, or 20,000 Leagues Under the Seas, or Les Misérables, or Dracula, or Frankenstein, or The Importance of Being Earnest—things that our children can share, cherish, and build upon without fear of being caught in a life-crushing lawsuit from a big corporation. That’s why I’m releasing the writing in this blog and some of my other projects into the public domain. It’s not much, and most of it is highly-specialized geek talk that would interest few. But it’s my small way of bringing attention to the coming century’s looming lack of public culture, and to share what little I can as selflessly as I can in the hope that it might inspire those more talented than me to do the same. Releasing work into the public domain or with an alternative license doesn’t mean you have to give it away for free. You can still charge whatever you want for your public-domain work. All it means is that you give people permission to share and build upon what you’ve created. Many creators see the word “share” and break out in a sweat. But sharing isn’t your enemy. Sharing is a fantastic way for people to introduce their friends to your work. When someone shares your creation with a friend, you have the chance to get another fan who will pay for your work down the line. It’s also tempting to succumb to fears of people co-opting your work and making millions while you starve. To that fear I say: give people the benefit of the doubt. I think you’ll be pleasantly surprised. And if someone does make a million from your work without sharing a penny with you, then perhaps they made it because they executed on something in a way that you weren’t able to—marketing, production, distribution, what-have-you. Is that the fault of your licensing decision, or of how you executed on your own intangible idea? I’ll admit it: Releasing your work to the public domain is a pretty radical move. Lots of creators fear their work will be “stolen” by someone else who’ll make millions. Others feel it cheapens their work. It’s fair to say that releasing your work directly to the public domain is a big step. But if you’re interested in alternative ways to license your work, you don’t have to start a march to the public domain and burn the bridge behind you. The Creative Commons, an organization that helps people share their work under progressive licenses, has a variety of options for you to mix and match. You could require attribution for derivative works, or require that they not be re-sold commercially, or a ton of different options. Explore the licenses the Creative Commons offers to see if there’s a license option there that resonates with you. I chose the public domain partly because I never planned to profit from this blog, and partly because of the message it sends to readers. The public domain might not be the right choice for you; but you do have choices besides the oppressive standard of corporate copyright. Copywrong, a fascinating article appearing in the New Yorker that outlines the history of copyright and the problems excessive copyright lengths impose on the Internet age. Free Culture, a book by Harvard Law professor Lawrence Lessig, is a great read and is itself available for free under a Creative Commons license. About the GNU project, a software project started by Richard Stallman that embodies the concepts of sharing and information freedom, and that today helps power most of the servers on the internet (including the one serving this very page!). The Free Culture Movement, a philosophy of sharing work under various conditions. Wonderful article and many ideas I agree with, thanks for sharing. I recently made http://www.ideas-bank.co.uk which may be of interest to you — it is borne of many of the ideas you speak of. Thanks for your insight on this matter. I suppose, until I saw your blog, none of this ever crossed my mind. Do note though that releasing something in the public domain means someone else can create derived work under their own license. GPL on the other hands forces derived work to be released under GPL again. In a sense, that’s more free by limiting what you can do with it. My blog (1000 plus posts) and forthcoming book are all about Dr Martin Henry Dawson’s unexpected wartime triumph of providing cheap abundant public domain (natural) penicillin for ALL, against the Allies’ original plan to put a patent lock on expensive pure synthetic penicillin and then only give it to a select FEW. I naturally released the blog and book into the public domain, to highlight Dawson’s point…. I would like to share my thoughts about this topic. I am an aspiring writer which means I am starting into the professional writing world. Besides, I am a developer too. With the primary work (developer) earn money; not enough, but I earn enough money to survive. The life in Spain, (as in another countries), is expensive. If I would like to survive only through my books, I wouldn’t earn money because nowadays is very easy to replicate a book and to sell in my back. For this reason, I won’t release my book in public domain…; when I earn enough money, I will think -seriously- to release any book to public domain. As developer, I will publish my acknowledgement to public domain in my personal webpage. I got you at Standard eBooks and am so thankful for your generosity. The writing in this blog is dedicated to the public domain via the CC0 1.0 Universal Public Domain Dedication, and is thus free of copyright restrictions worldwide. Why?